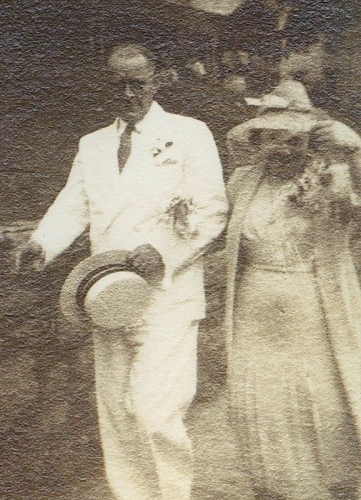 Will Pannill escorting Florence Pannill to her morning wedding. Anderson Memorial Presbyterian Church. The bride wore blue.